This recent design has proved to be very popular. 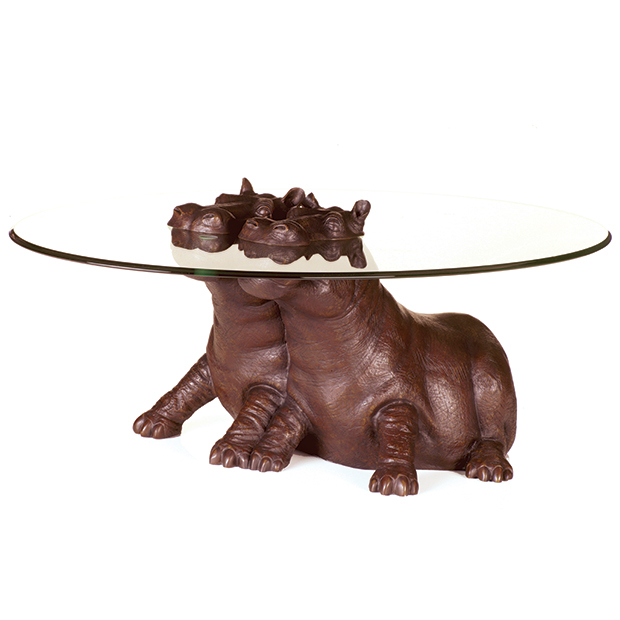 Standing firmly on all four feet, with his cheeky half smile, ‘Hippo The Lad’ appeals to the whole family. "The Lad" is a hardy hippo with a lot of character. 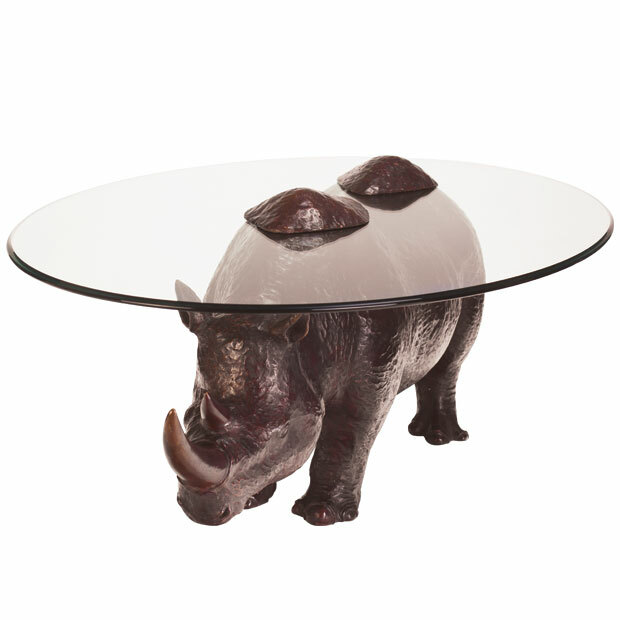 He is a single standing hippo with his head tilted to one side and a wry smile on his face. 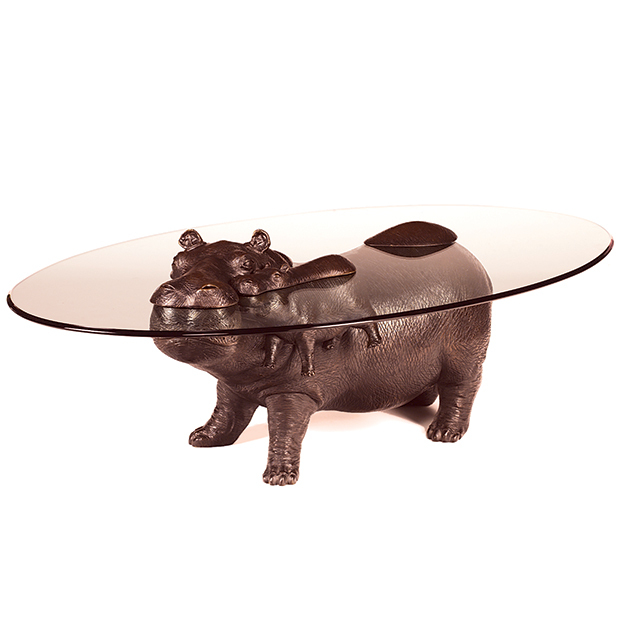 The patina simulates hippo hide exceptionally well and the detail is indeed impressive. 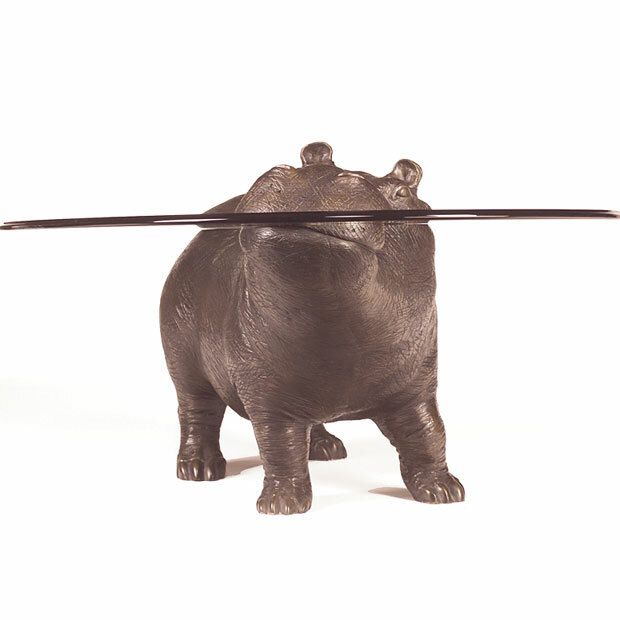 The glass which represents the water surface integrates particularly well in this sculpture as the Hippo surfaces. 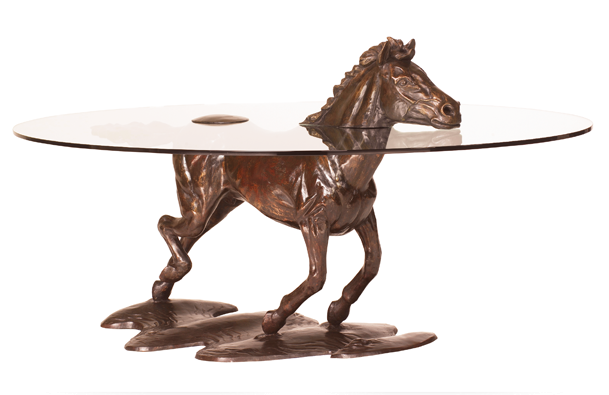 Released in April 2002 we are now SOLD OUT of this piece. We donated one to the David Shepherd's 'Art for Survival Wildlife Auction III 2004' which sold for double its retail value to a collector in the USA. Glass size 4.5' x 3' 12mm thick toughened glass bevelled edges conforming to British Standards BS76206 but can be made to suit. 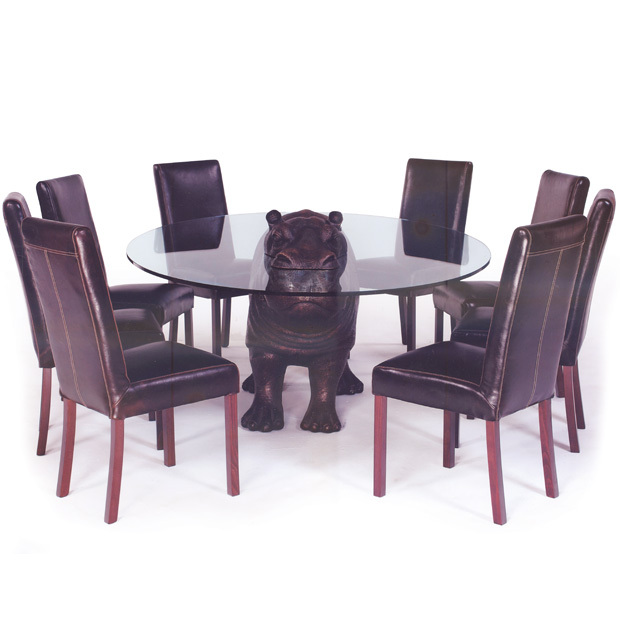 If required, the glass can be made to your own individual requirements.